Stress means different things to different people. To a homeward bound motorist it could be the hassles of heavy traffic and noxious exhaust fumes. To a student it could be the pressure of studying for exams and to a working individual it could be the pressure associated with meeting work related deadlines. Most people respond to the word stress in negative ways. It is seen as a destructive, debilitating force. promotion or reward. Eustress is the stress of winning and achieving. Stress results when an individual is unable to cope with stressors adequately. 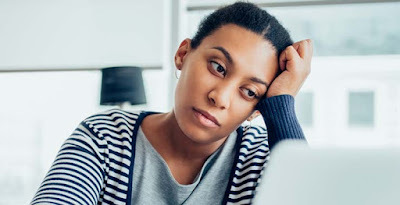 Stressors could be loud noise, uncomfortable air-conditioning, debts, ringing telephones, broken relationships, unrealistic deadlines, discouragement, fear, pain and thousands of other things that impact upon us in the normal course of life. It is impossible to avoid stressors. The only totally stress-free state is death! Stressors will always be there because we live in an imperfect and unpredictable world which predisposes us to frequent stressful episodes. We experience stress as the body adjusts to the external demands placed upon it. The body constantly seeks ways to maintain stability and stress is usually sensed as the body readjusts to too much pressure. Stress disturbs homeostasis by creating a state of imbalance. 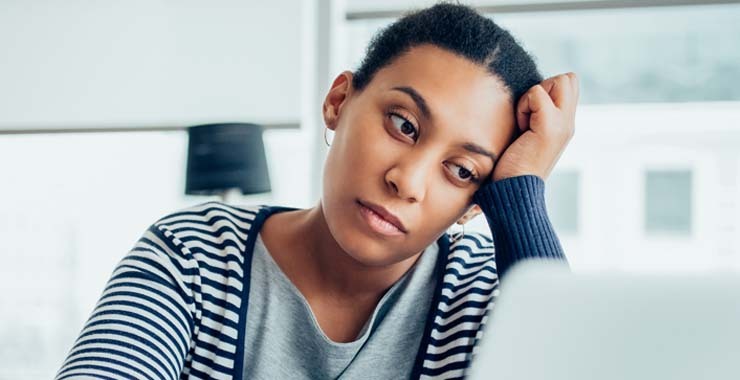 The source of stress may be outside the body or it may originate from within the body in the form of high blood pressure, pain, tumours, distressing events or disturbing thoughts. Homeostasis is a term used by scientists to define the physiological limits within which the body functions efficiently and comfortably. Our bodies need help to cope with being stressed because our natural stress – adjustors are not suited to deal with the demands of modern day life. His research convinced him that the body has only a finite reserve of adaptation energy to apply to the stressors of life. Selye likened this reserve to a bank account upon which we can make withdrawals from time to time but into which we cannot make deposits. It is a non-renewable reserve of energy which we draw on throughout life until eventually it is consumed and death results. Some people squander their reserves and experience premature ageing as a result; others exercise more discretion and so they maintain a supply over a longer period of time. Over a long period of time the stress response begins to take a toll on the body. One of the prime targets affected is the Thymus Gland (a pale grey gland that sits behind the sternum or breastbone, above the heart) which plays a key role in the body’s immune function. The thymus gland pumps out millions of lymphocytes each day to patrol throughout the body and to kill off bacterial and viral invaders and to also eliminate cancer cells. Killer cells called macrophages literally eat invading viruses and bacteria in all parts of the body and we depend on them for our survival. Macrophages are weakened by the steroid known as cortisol which is released by the adrenal glands when stress is experienced. A weakened immune system increases vulnerability to infection and this is why people under stress often experience regular attacks of colds and flu. Psychological stress does have physical ramifications. A great deal of harm can be done by stressful thinking. The body is flooded with stress hormones as a result and this can create a vicious cycle making us more and more stressed. Medical research is finding out more about the relationship between the body and the mind. The biggest single emotional factor identified by researchers in the development of cancer is a significant loss or stressful episode 6 to 18 months before diagnosis of the disease. This loss is bad enough to cause a feeling of helplessness and hopelessness that leads to depress immune function that allows malignancy (cancer) to develop clinically. malignant degeneration all of the time. The body’s immune system recognizes these abnormal cells and destroys them all the time until resistance goes down. Most people will agree that relaxation is an excellent way of relieving stress and tension. Most people can achieve and experience relaxation using music for instance. RELAXATION is the body’s automatic response that is designed to lower body tension and to promote health and wellbeing. Medical researchers are only just beginning to recognize the positive benefits that flow from relaxation and meditation. It has been shown that oxygen consumption can decrease by an average of between 10 and 20 per cent during the first three minutes of meditation. (During sleep oxygen consumption drops slowly reaching a point of 8% lower than normal wakefulness after four or five hours). The body has a number of specific physiological responses to relaxation. These include a gradual but noticeable decline in activity marked by reduced heartbeat, lowered blood pressure, lower levels of muscular tension and improved blood circulation evidenced by a pleasant tingling sensation in the fingers and legs. The body also lowers the output of stress hormones such as adrenaline. Slow alpha waves in the brain increase producing a state of Restful Wakefulness. Relaxation is basically letting go. It involves stopping and passively abandoning oneself to a state of tranquility. YOUR BODY WILL DO THE RELAXING IF YOU DO THE STOPPING. people cannot relax simply because they try too hard. If you sit in a chair and concentrate hard and become distressed when your mind wanders or you fail to feel at ease then the body cannot achieve the relaxation response. Relaxation is a passive activity. Approach it with a carefree attitude resolving to just let go knowing that the body will do the work for you. It is important to take breaks during the day to decompress whenever you feel stressed and a good vacation periodically goes a long way to help keep stress in check.